Flooded Shell & Tube design for seawater and brackish water. Designed for halocarbons. Made of seamless steeltube in quality St. 35 according to Det Norske Veritas requirements. These are made of solid, stainless, acid resistant steel. The plates are welded to the shell. The holes for the tubes are exactly made, with grooves to assure a safety tightening as tubes are rolled in. The tubes for halocarbons are made of aluminium-brass in the well known alloy for seawater, 76% copper, 2% aluminium and 22% zinc. This alloy has prooved to have extremely high resistance against corrosion from seawater and brackish water. The tubes are of “low fin” construction with external fins made from the tube itself. 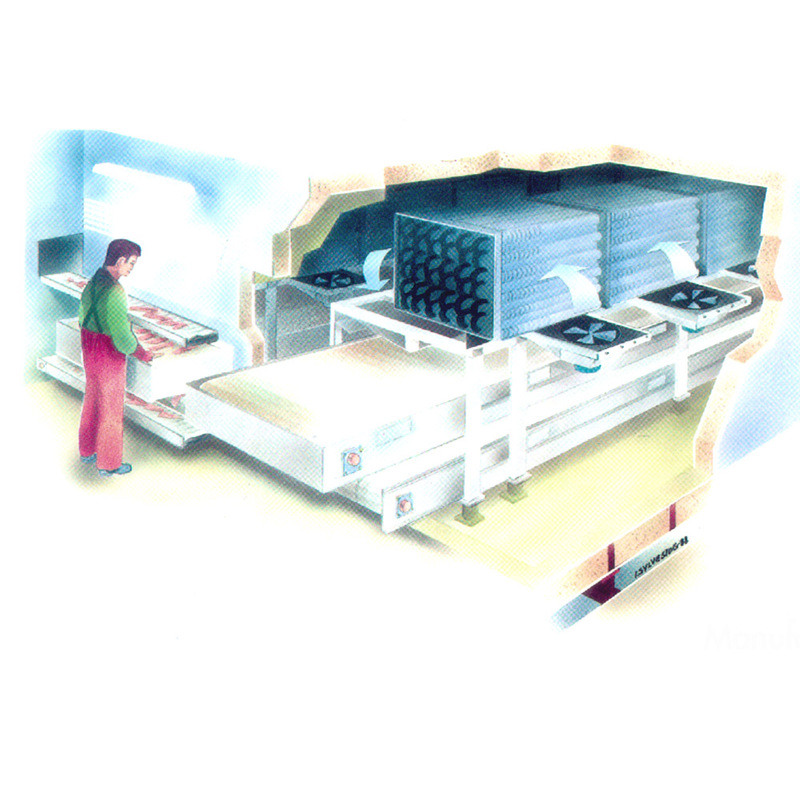 Outside surface then increases considerably, resulting in a high efficiency compact cooler. The tubes are rolled into the endplates, and are replaceable. 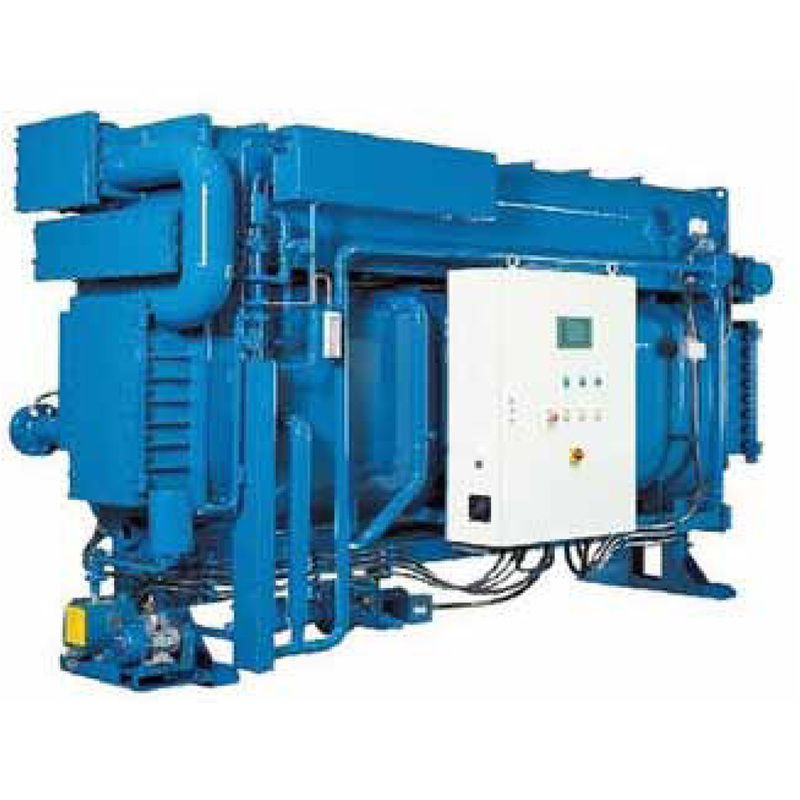 For further information about RSW Chillers, please contact us here. 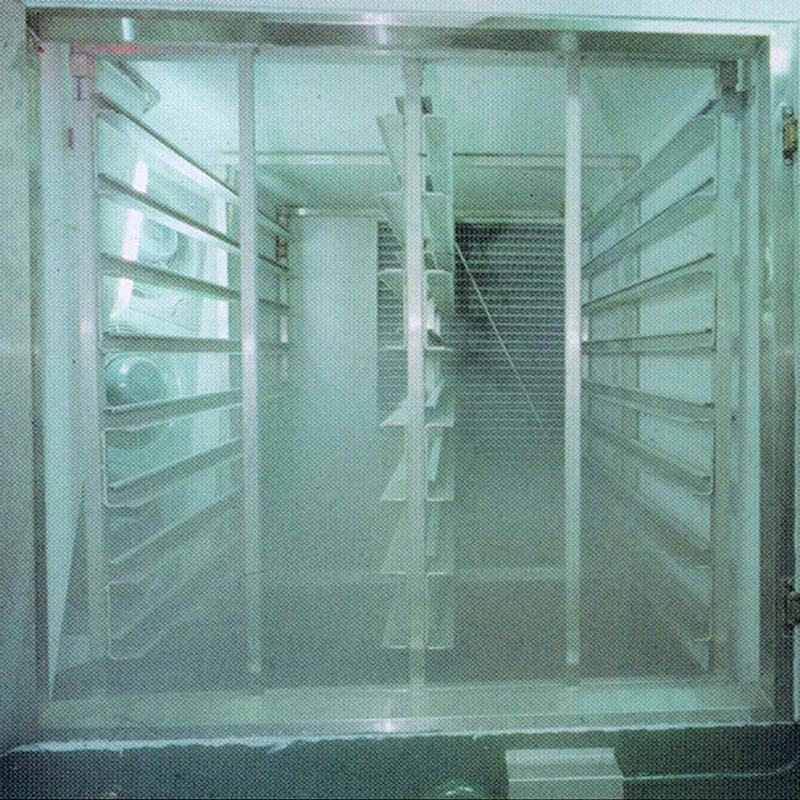 For support of the tubes and to avoid vibration and noise, supporting plates are mounted in the chiller. The end covers are in standard execution of cast iron or galvanized steel, for flange connections. For protection against corrosion, end covers are equipped with corrosion plugs. 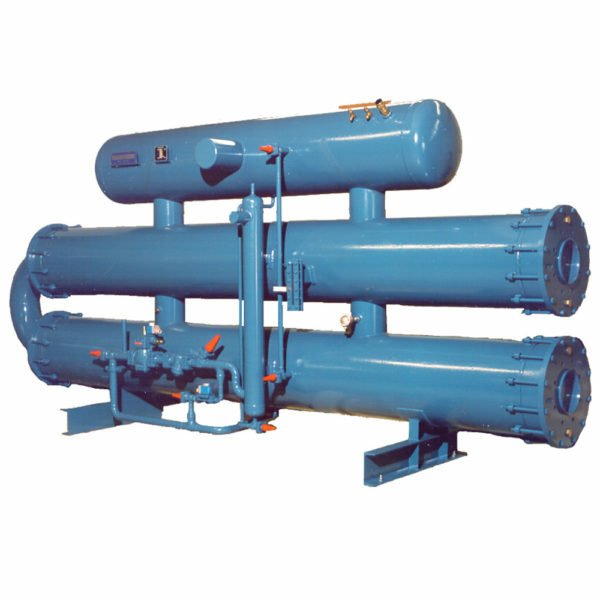 Suction vessel of ample size constructed with inside baffles to give extremely good saparation of refrigerant drops and oil, which is of great importance onboard ships. 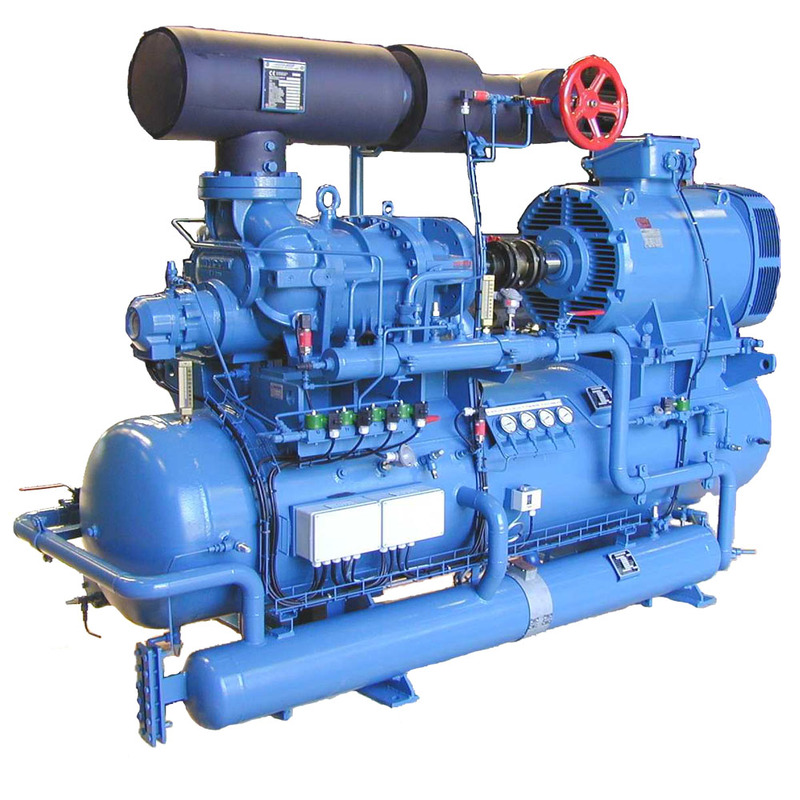 Oil separator, refrigerant injection valve, liquid level glass, safety valve, purge valve, low-temp. safety thermostat. 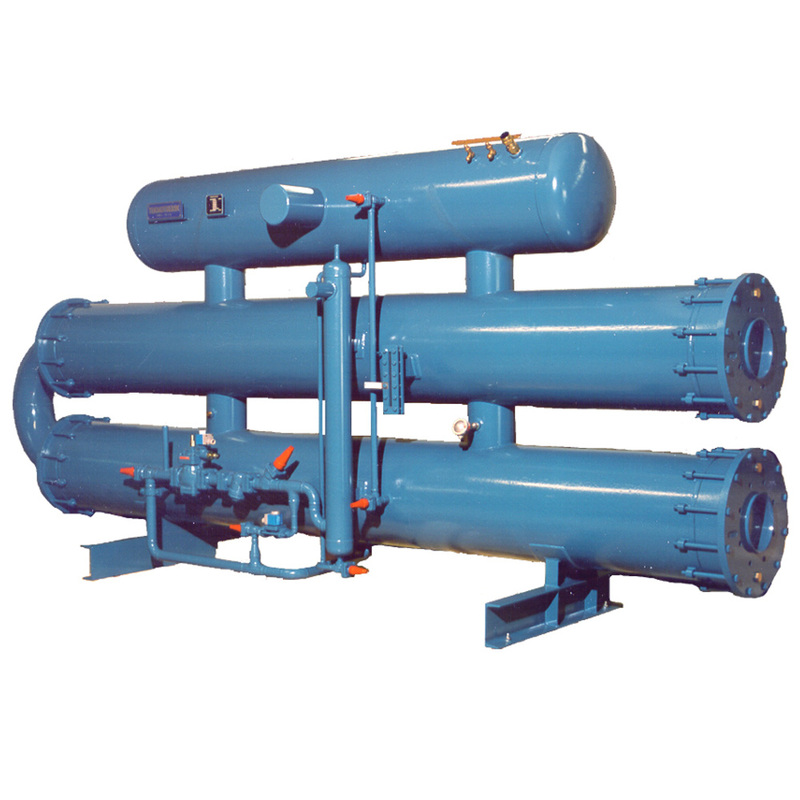 Standard chiller delivered with separate HP pilot floatvalve. Alternatively built-on LP floatvalve with level safety float switch. Ammonia models will have oil drain.